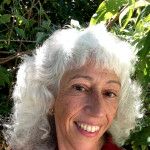 Sherry Katz, LCSW's answer to How do I handle my extreme paranoia? How do I handle my extreme paranoia? I'm just an extremely paranoid person. I constantly feel as though I am in some sort of danger, like as though I live in a horror movie with no resolution. It worsens at night. It gets to the point I'm scared in my own home more so than anything. I have no access to the help I need so I'm desperate. One approach is to be more accepting of yourself as someone who has fears. It is much easier to manage a problem when you're not fighting yourself for having a problem. Once you are willing to accept this quality within yourself you may start to feel a little more relaxed about handling the fears when they arise. One answer is to examine the facts about the fears. Ask yourself fact based questions as to how you would handle the worse case scenario of your fears. Feeling prepared, whether or not the circumstance is highly unlikely to happen, may increase your peace of mind with living the great fears within your mind.